Flu vaccines are safe, effective and easy to get. Think you have a good reason not to get your flu shot? Read on. If you could do one quick thing to preserve your own health, keep your family, neighbors and co-workers from contracting a dangerous illness, and it cost you little or nothing, would you do it? So get a flu shot. During last year’s record flu season, an estimated 80,000 people died and 900,000 were hospitalized, according to CDC statistics. Not counted are the potentially millions more who also suffered needlessly because an unvaccinated person passed on the virus to them. “Flu vaccines can give you the flu.” Not possible — the vaccine is made of inactive virus or no virus at all. 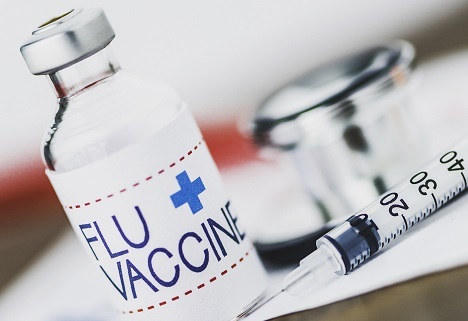 “I got a shot but I still got the flu.” Not every strain of flu is included in the annual flu vaccine, but a 2018 study showed the vaccine lessens the risk of severe flu in adults. A 2017 study showed the vaccine reduced the risk of flu-associated death in children by over half. In addition, many illnesses that people categorize as the flu may actually be a different type of virus, a bacterial infection or food poisoning. “I’m not in a high-risk group, so if I get the flu, it won’t be that bad.” You are taking that risk for the people around you, not only for yourself. “I’ve had the flu before, so I’m immune.” The viruses that circulate every year can be slightly different, so you need the vaccine every year. And your immune response from the vaccine declines over time, so an annual shot will give you the best protection. While some people should not get a flu vaccination, the Centers for Disease Control and Prevention recommend it for nearly everyone 6 months and older. If your employer doesn’t offer onsite flu vaccines, finding a place to get one is simple with the CDC HealthMap Vaccine Finder. CDC recommends getting a flu vaccine by the end of October to maximize your protection for this year. But if you are unable to get your vaccine then, it’s still worthwhile to get it through January or even later. Don’t wait. Get your flu vaccination early and save yourself and your loved ones from contracting this dangerous and potentially fatal virus. Tammy Franks is a program manager for home and community safety with the National Safety Council, and has worked in the injury prevention field for over 20 years. In addition to her work with NSC, she serves as the vice-chairperson of the National Child Passenger Safety Board and chairperson of Safe Kids Oregon.